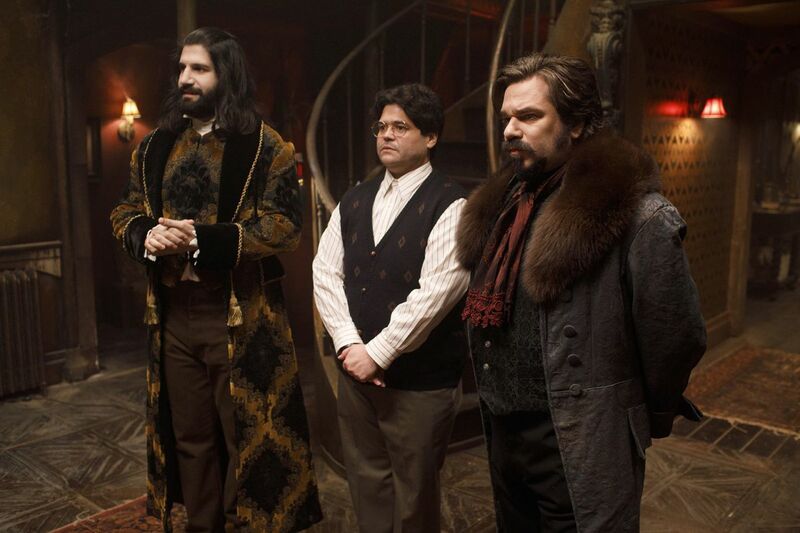 FX's "What We Do in the Shadows" cast members (from left) Kayvan Novak as Nandor, Harvey Guillen as Guillermo, and Matt Berry as Laszlo. Into the Badlands. The martial arts drama begins its final eight-episode run. 10 p.m. Sunday, March 24, moving to 10 p.m. Mondays on March 25, AMC. Knightfall. Luke Skywalker goes medieval? Not exactly, but look for a scarred and gray-bearded Mark Hamill in the second season of the 14th-century drama as it tracks the ultimate downfall of the Knights Templar. 10 p.m. Monday, March 25, History Channel. Million Dollar Mile. Tim Tebow hosts a new reality-competition series from LeBron James’ production company in which contestants must fend off a group of elite athlete “defenders” as they run a one-mile obstacle course in Los Angeles in pursuit of a $1 million prize. 9 p.m. Wednesday, March 27, CBS. Jane the Virgin. Even the best things must come to an end. The fifth and final season of the telenovela-inspired dramedy starring Gina Rodriguez as the no-longer-virginal Jane Villanueva premieres on a new night with a story that could happen only on a show like this. 9 p.m. Wednesday, March 27, CW. What We Do in the Shadows. Jemaine Clement and Taika Waititi’s horror mockumentary about vampire housemates becomes a series, moving from New Zealand to Staten Island but without sacrificing its outlandish charm. 10 p.m. Wednesday, March 27, FX. Abby’s. Natalie Morales stars as an ex-Marine sergeant who runs an unlicensed bar in her San Diego backyard for a clientele of neighborhood oddballs who can’t imagine drinking anywhere else. 9:30 p.m. Thursday, March 28, NBC. Hanna. Esmé Creed-Miles stars as a girl raised in the wilderness and trained to defend herself against all comers in an action series based on the 2011 film. Fast-paced first season features the reunion of The Killing stars Mireille Enos and Joel Kinnaman, whose characters find themselves on opposite sides this time. Friday, March 29, Amazon Prime Video.